There's something I don't understand about the new Google Photos. The settings page lets you choose between uploading high quality photos and videos for free, at reduced sizes (16MP or less for photos, Full HD or less for videos) or uploading original photos and videos at full resolution, but that counts against your quota. This doesn't make sense. Google+ Photos had a different policy: "Only photos over 2048x2048 pixels and videos longer than 15 minutes count toward your storage limit." Google+ even had a setting that resized your photos to 2048x2048 or less, so they stayed under the free storage limit. Google's new policy doesn't seem fair to those who pick the "original" option. 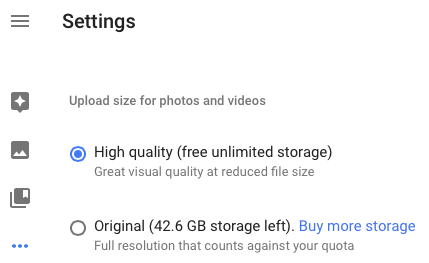 If you upload photos that are 16 MP or less or videos that are 1080p or less, you should be able to store them for free, regardless of the Google Photos setting you choose. The distinction between "high quality" and "original" should only be made for photos and videos that don't fall under Google's limitations. 2 years ago, Google offered 10 GB of free storage for installing the Quickoffice app for Android or iOS. Unfortunately, Google's bonus storage is about to expire. 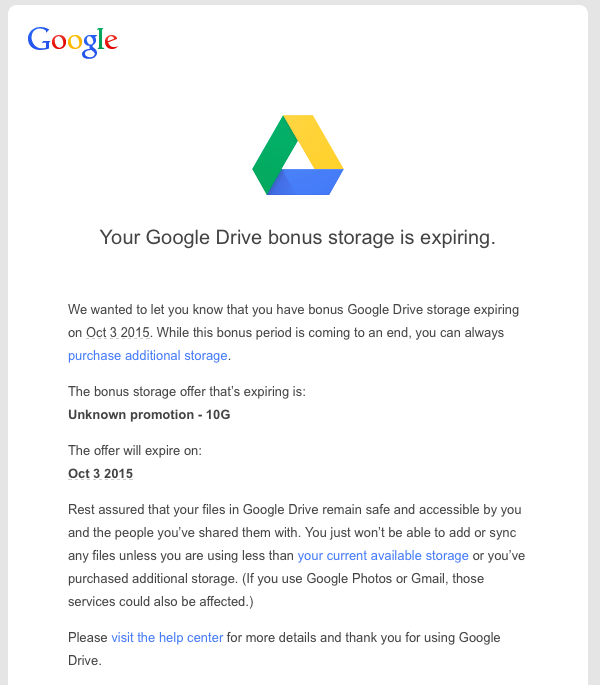 "We wanted to let you know that you have bonus Google Drive storage expiring on Oct 3 2015. While this bonus period is coming to an end, you can always purchase additional storage," informs Google. "Rest assured that your files in Google Drive remain safe and accessible by you and the people you've shared them with. You just won't be able to add or sync any files unless you are using less than your current available storage or you've purchased additional storage." Basically, Google won't delete your files, but you'll have to delete some of them or purchase more storage if you actually used the 10 GB bonus storage. Since the storage is shared between Gmail, Google Photos and Google Drive, all of these services are affected and you can also delete Gmail messages with large attachments or photos and videos from Google Photos that use your Google storage. Here's how to find Gmail messages with big attachments and a list of Google Drive files sorted by size. Google Design's site has an interesting article about Google's new identity. Google's designers started by "distilling the essence of the brand down to its core" and built 3 elements that work on any platform: a sans serif logotype, the dynamic dots that respond to users and a compact version of the Google logo. Some people said that Google's new logo is childish and it really is. "The Google logo has always had a simple, friendly, and approachable style. We wanted to retain these qualities by combining the mathematical purity of geometric forms with the childlike simplicity of schoolbook letter printing. Our new logotype is set in a custom, geometric sans-serif typeface and maintains the multi-colored playfulness and rotated ‘e’ of our previous mark—a reminder that we’ll always be a bit unconventional," mention Google's designers. The dots are a brilliant way to convey the full Google logo in a Material Design approach. "The Google dots are a dynamic and perpetually moving state of the logo. They represent Google's intelligence at work and indicate when Google is working for you. We consider these unique, magic moments. A full range of expressions were developed including listening, thinking, replying, incomprehension, and confirmation." 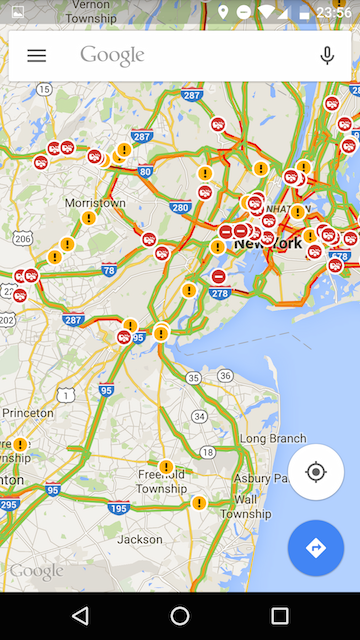 Google now uses pixel-perfect SVGs for base assets and generates thousands of vector-based variants. For example, there's a version of the logo that's optimized for low-bandwidth connections and is only 305 bytes. Google's old approach was to serve a text-based approximation of the logo. All in all, the new logo is more flexible, works better for devices with small screens and there's an animated abstract version. For the first time, Google's logo becomes a user interface control that communicates information and connects users to Google. 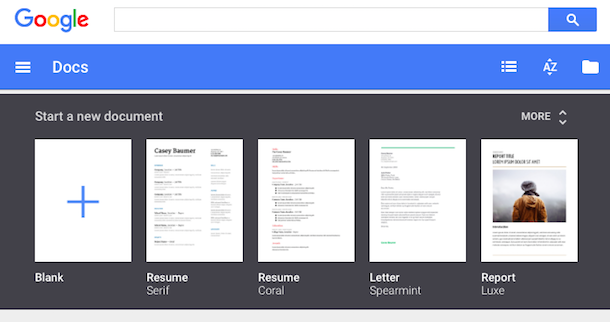 Google's standalone web apps for Docs, Sheets and Slides now show a list of templates you can choose to quickly create a document, spreadsheet or presentation. 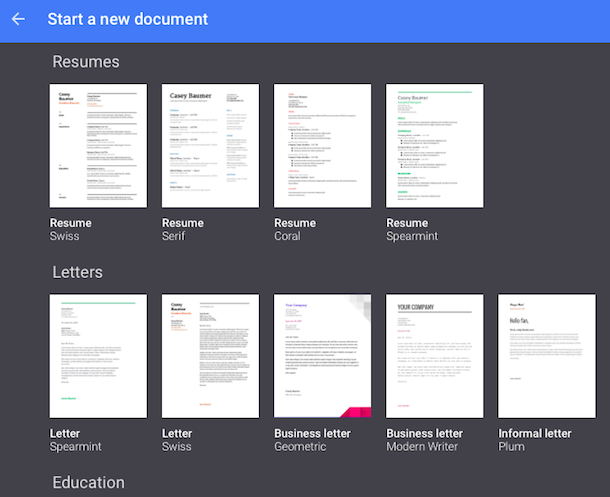 For example, Google Docs shows templates for resumes, reports, letters and you can expand the list to see even more templates (essays, class notes, project proposals, meeting notes, brochures, newsletters). 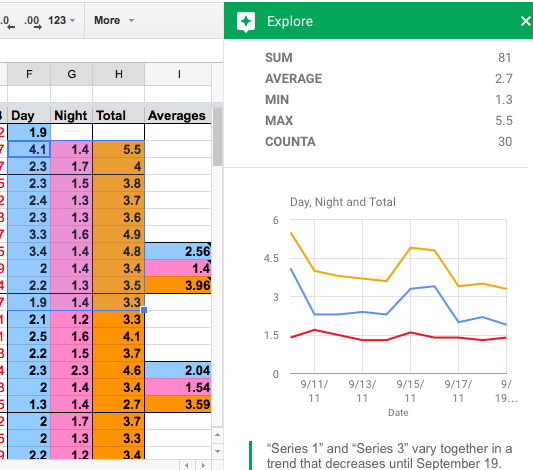 Google Sheets has templates for to-do lists, budgets, calendars, schedules, invoices, time sheets and more. Google Slides also has a few templates for photo albums, pitches, status reports, lesson plans, portfolios, weddings, party invites and more. Another new feature lets you get insights on a spreadsheet by simply selecting a range of cells and clicking Explore. This feature works in the desktop web app and the Android app and it shows trends, patterns and even charts for the data you've selected. It's surprisingly useful. 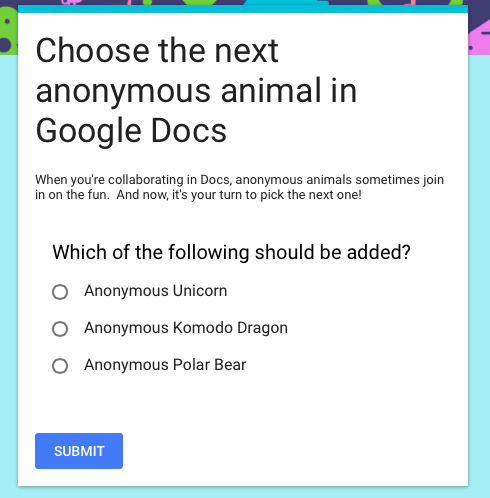 Google Docs now shows the new changes in a collaborative document. "If there are new changes, click the New changes button to the right of the Help menu. You can also click the File menu > See new changes." 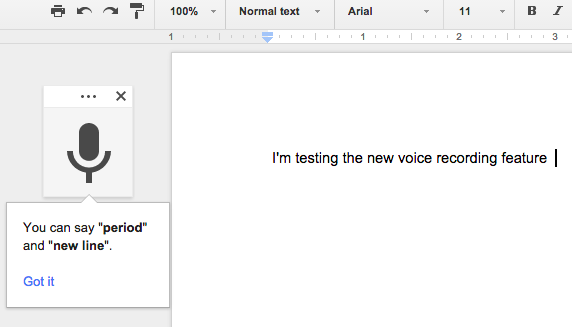 Voice typing lets you dictate a text in Google Docs for desktop, but only if you use Chrome. Activate this feature from the Tools menu and speak in one of the 40 supported languages. You can say "period", "comma", "question mark", "exclamation mark", "new line", "new paragraph" to add punctuation to your text. You can customize your forms by picking a theme or adding a photo. Google chooses the right color palette to match your photo. Insert images and YouTube videos to illustrate your questions. 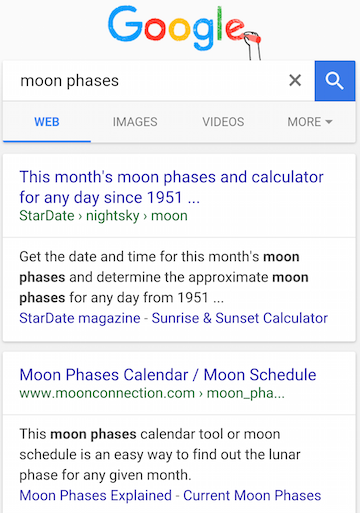 Google Mobile Search has a new interface for related searches. Google usually shows up to 8 related searches at the bottom of the search results pages, but now the list looks different: there's a table with white rows and small arrows next to each related query. Click a related search and you can see the search results for that query and even more related searches. You can start with a generic query like [nightingale] and create a more specific query by only clicking on related searches. For example, you can find searches like [sound of a nightingale singing], [Yanni nightingale live] or [how do you become a nightingale in Skyrim?]. Google has a new logo, but it also has a new favicon. It's now a capital G that uses the four Google colors: blue, red, yellow and green. 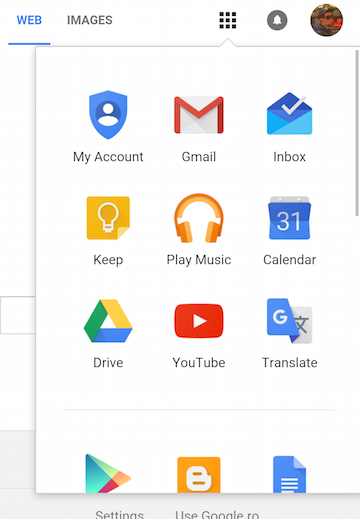 You can find it in Google's app launcher and soon in Chrome's app launcher and in Android, as an icon for the Google Search app. "Welcome to Google Photos, the new home for all your private photos. The photos you've shared on Google+ are still available in the photos tab of your Google+ profile." The message links to https://plus.google.com/me/photos, which is the photos tab from your Google Profile. Until now, Google Photos linked to Google+ Photos, bypassing the redirect. You can still go to Google+ Photos using this link: https://plus.google.com/photos/highlights, but I don't know for how long. 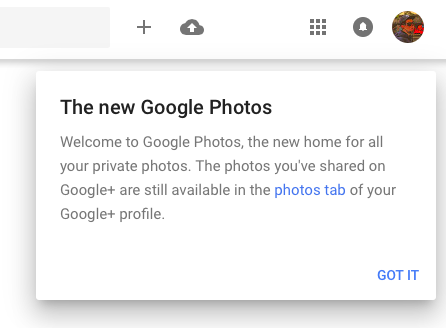 Most likely, Google+ Photos will disappear soon. Google's mobile homepage looks different. The tabs for web search and image search are now blue and you can finally use the app launcher. Just click the grid icon to see the same app launcher from the desktop site. Many shortcuts will open the corresponding mobile apps instead of the mobile sites. For now, the app launcher is only available from the Google homepage and from Google Image Search's homepage. Google has recently changed the color of the tabs from red to blue for both the desktop site and the mobile site. There's now a bigger Google logo at the top of the page and the header uses more space. The new Google logo stands out more. The latest version of the Google Maps app for Android replaced the gray Google logo from the bottom left corner with a bigger logo that's now colorful. 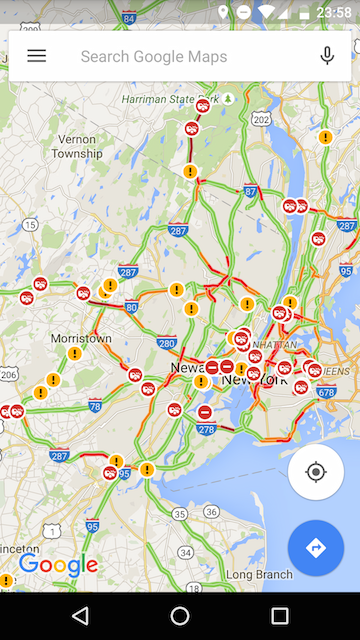 This screenshot is from the latest version of the Google Maps app. The new logo doesn't blend in with the map and it's more distracting. Ever wanted to quickly switch between Gmail and Inbox? 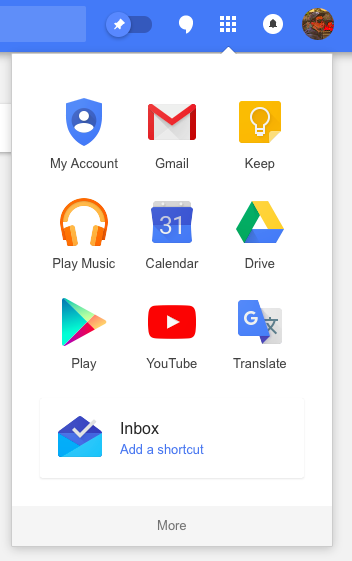 You can add Inbox to Google's app launcher: just go to inbox.google.com, click the grid icon at the top of the page and then click "add a shortcut". Drag and drop the icon to change its position. 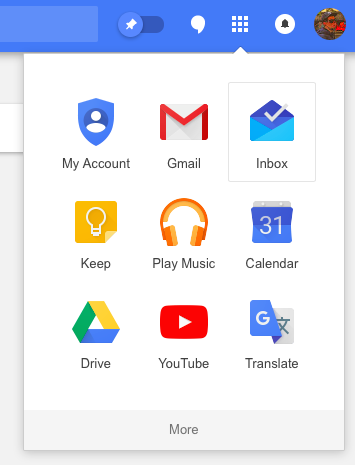 I placed the Inbox shortcut next to Gmail's shortcut. Inbox has a setting that lets you redirect Gmail to inbox.google.com, just in case you want to switch to Inbox. Google has recently changed the search button from the desktop site. It's now much smaller, just like the search button from the mobile UI. You don't have to click the search button: it's much faster to press Enter, since you're already using the keyboard. 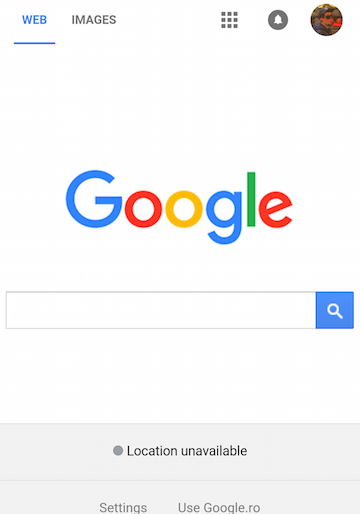 Google's homepage has a clever animation that announces a new Google logo. "These days, people interact with Google products across many different platforms, apps and devices — sometimes all in a single day. (...) Today we're introducing a new logo and identity family that reflects this reality and shows you when the Google magic is working for you, even on the tiniest screens," informs Google. It's not just about the Google logo: many other Google icons will change. "New elements like a colorful Google mic help you identify and interact with Google whether you're talking, tapping or typing. Meanwhile, we're bidding adieu to the little blue 'g' icon and replacing it with a four-color 'G' that matches the logo." The new icons are better suited for small screens and manage to convey the Google identity using colors and playful cues. Google's logo hasn't changed a lot since 1998: it's still simple, colorful, playful and unintimidating.